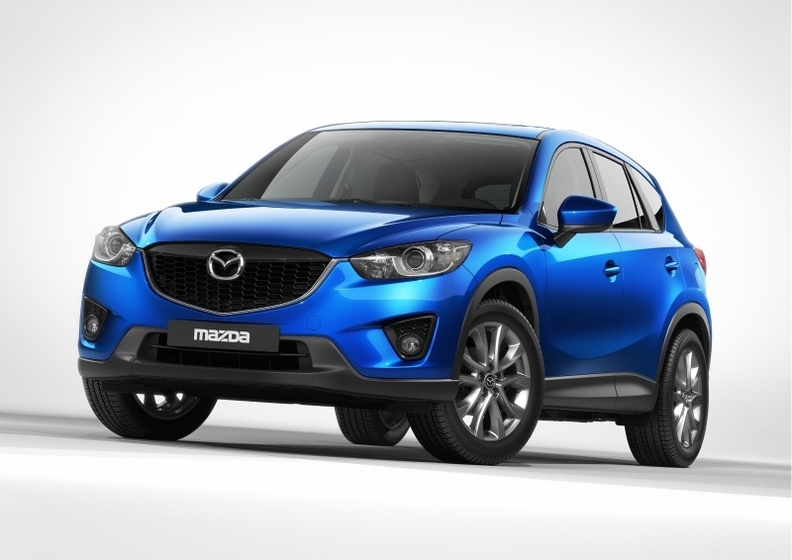 The CX-5 will premiere Mazda's all-new SkyActiv technologies. FRANKFURT -- Mazda has unveiled the CX-5 crossover ahead of its debut at this year's IAA in Frankfurt next month. The CX-5 is the first in a new generation of products to adopt Mazda's new Kodo design language, which was initially shown on the Shinari and Minagi concept vehicles. The CX-5 is closely based on the Minagi concept, which was shown at the Geneva auto show earlier this year and keeps some of the concept's features, including a bold front end and sloping roofline. The CX-5 is closely based on the Minagi concept vehicle (pictured) which was shown at the Geneva auto show earlier this year. According to Mazda, the crossover will also premiere the automaker's SkyActiv system, which includes all-new chassis, engine and transmission technologies. In Europe, the CX-5 will be launched with a choice of two 2.2-liter diesel engine variants and a 2 liter gasoline engine. Mazda said its engineers focused on achieving exceptional environmental performance and targeted CO2 emissions of less than 120g/km for the most fuel efficient diesel version, which has stop-start technology. Mazda will announce pricing for the CX-5 on Setpember 13 at the IAA, a spokeswoman told Automotive News Europe. The crossover is expected to go on sale in Germany in the first quarter of 2012, she added.